Does a No-Cost Mortgage Make Sense for You? It sounds good: Your mortgage lender is offering you a no-cost mortgage loan. You won't have the pay the thousands of dollars in closing costs that typically come with a purchase loan or a refinance. The only problem? That "no cost" part is a bit misleading. It might be true that you won't have to come up with $5,000, $10,000 or $12,000 in a lump sum to pay your closing costs on your purchase loan or refinance. But your lender isn't going to originate your mortgage loan for free. It still needs to make a profit. Your lender will do this by charging you a higher interest rate as a trade-off for not charging you upfront closing costs. You'll pay a bit more with each monthly payment instead of having to come up with thousands of dollars to close your purchase loan or refinance. But just because it's not free doesn't mean that a no-cost mortgage loan isn't a good deal for you. Closing costs -- fees that borrowers pay for everything from title insurance to appraisals -- can be high. The Federal Reserve Board estimates that closing costs run an average of 3 percent of a home's sales price on purchase loans. If you're buying a home that costs $200,000, that can mean closing costs of about $6,000. That's a lot of cash for buyers to scrape together, which is why many borrowers are seeking no-cost mortgage loans. These loans give consumers the option to pay their closing costs in a way that doesn't involve a big lump-sum payment. Here's an example: A lender might offer you a 30-year fixed-rate loan of $180,000 with an interest rate of 4 percent but closing costs of $5,800. The same lender might offer to waive those closing costs if you're willing to instead accept an interest rate of 4.25 percent on that same loan. Jason Pepsnik, senior vice president and regional manager in the Houston office of Chase Mortgage Banking, explains the no-cost mortgage loan like this: If you agree to accept a higher interest rate, your lender will provide you with a credit to cover your closing costs. Analyzing whether a no-cost loan, and the higher interest rate that comes with it, is a good financial deal is a matter of simple math, Pepsnik says. Say your monthly payment will rise by $50 if you take the higher-rate no-cost mortgage loan option. But say taking this option leaves you with $3,000 in closing-cost credits. You then face a break-even point of 60 months or five years. It will take 60 months for that extra $50 a month to equal the $3,000 you didn't have to pay in closing costs. 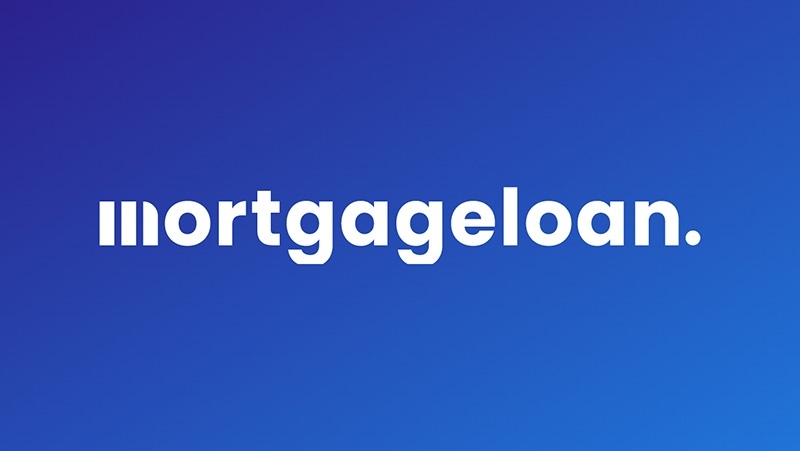 "If the borrower plans to refinance in four years or sell their home in four years, then the no-cost mortgage loan makes financial sense," Pepsnik said. But analyzing whether these loans are a good choice often involves more than the simple mathematics involved in determining break-even points. Those borrowers who can't afford to spend thousands of dollars on closing costs can benefit from these loans. It might be the only way they can get into a home. And even those rare borrowers who plan to stay in their homes for the entire lifespan of their mortgage loan - or those who plan on staying in their homes past the break-even point -- might still choose depending on their financial situations a no-cost loan with a higher interest rate. John Moony, managing vice president in the Chicago office of Guaranteed Rate, gives an example: Say borrowers will have to pay $5,000 in closing costs for a $200,000 30-year fixed-rate mortgage loan. Their lender might offer them a no-cost loan for an interest rate that is a quarter-of-a-percent higher. That slightly higher rate might add about $30 a month to the borrowers' mortgage payments, Moony says. If the borrowers stay in their homes for 30 years and never refinance during this time, they'd pay about $10,800 more spread out over 30 years than they would have had they paid their $5,000 in closing costs for the lower interest rate. On a purely numbers basis, then, these borrowers would have been $5,000 better off by paying the closing costs upfront. But the numbers alone aren't the only factor, Moony says. What if these borrowers were tight on cash during the home-buying process? That $5,000 that they didn't have to spend might have helped them furnish their new home, and might have been more welcome than the $5,800 or so they'd have saved spread out over three decades, Moony says. There are other situations in which a no-cost mortgage loan might not be the right financial choice, Moony says. Say the members of a couple are 10 years from retirement. They want to refinance their existing loan to a 10-year fixed-rate loan with the goal of having their mortgage paid off by the time they leave the workforce. Instead of paying a higher interest rate, they might instead want to pay their own closing costs and take advantage of the lower monthly payments that come with a lower interest rate. "That extra $3,000 or $4,000 in their pockets from no closing costs might not mean as much if their goal 10 years from now is to be debt-free," Moony said. "It all comes down to the individual customer. What is going on in their lives and what are their goals?" Some consumers - and many lenders fail to correct this misconception - sometimes don't know what a real no-cost mortgage loan is, especially when they're ready to refinance. Often in a refinance, lenders will offer to roll their closing costs into the balance of the new mortgage loan. Borrowers might be refinancing a mortgage loan with a balance of $200,000. If their closing costs are $5,000, the lender might roll these costs into the balance of the loan, meaning that the borrowers will be paying off a loan with an actual balance of $205,000. Instead of paying their closing costs upfront, these borrowers are financing them, paying them off over time with each monthly mortgage payment. That's a good solution for some homeowners. But it doesn't count as a no-cost mortgage loan and shouldn't be advertised as such, Pepsnik says. "Too many lenders advertise what are really no-closing-cost mortgage loans as no-cost mortgages," Pepsnik said. "These are two very different things. Consumers should be aware of that difference."